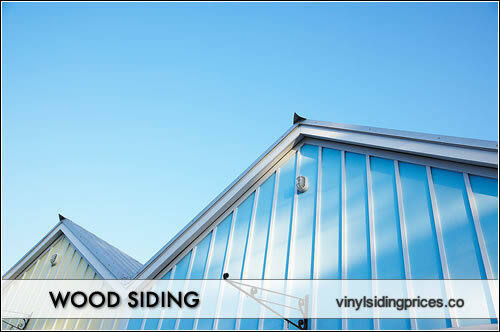 Wood siding prices range from $3 to $8 per square foot fully installed. There are a wide range of options when it comes to wood siding, including plywood, board and battens, cedar shingles, lap or clapboard and engineered wood siding. Each of these options carries a slightly different price range that we will detail below. All wood siding projects require a number of additional materials. These include items such as trim pieces, fascia and soffits, panel nails, housewrap, starter courses, etc. The number and cost will depend on the product grade and how intricate the homeowner wants to go with some of these more specialty touches. On average, homeowners can expect these addtional materials to run $1 to $2 per square foot. The installation cost for wood siding will run $1 to $3 per square foot. Some of the main variables that affect labor costs include the size of the project (the larger the project the less the per square foot cost), the time of the year for the project (summer tends to be more expensive), the location where you live (urban centers tend to be more expensive) and the overall complexity of the installation.